You'll know when you've reached the Central Branch of the public library system in Kansas City. 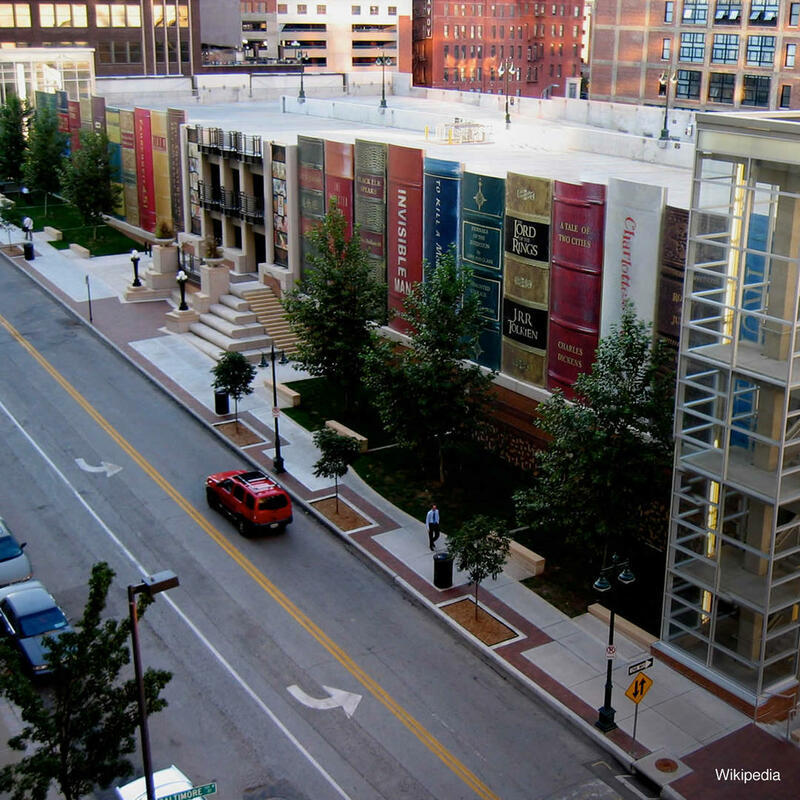 The exterior is painted to look like a building-sized bookshelf filled with classics such as "The Lord of the Rings" and "The Invisible Man." If you're wondering how the library chose which books to "display," community members were asked to vote on titles.